If you’ve been injured because of recklessness or negligence that wasn’t yours, you deserve compensation. Find out how to handle your injury claim by working with a Boise accident lawyer. No matter how careful you are, it’s a simple truth that no one is immune to being injured in an accident that was caused by the negligence of someone else. You can’t control what other people do, and when their carelessness and poor judgment leave you hurt, you should be compensated for the resulting medical bills, lost income, and diminished quality of life you experience. This is not something that happens automatically, however, and rarely without a fight. You can expect to meet resistance from the at-fault party, their insurer, or their attorney. Whether they lowball your settlement offer or accuse you of causing the accident, you’re going to need proof that demonstrates who really caused the accident and what your injury claim is worth. 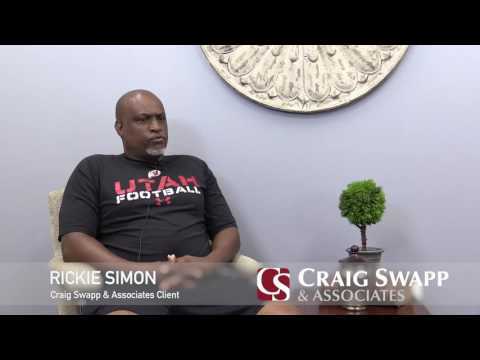 In a situation like this, a Boise accident lawyer from Craig Swapp & Associates can help you through the complex legal system and onto the financial compensation you deserve. Regardless of the specific type of accident scenario you were injured in, we’ll know how to investigate for fault and get you the results you need. Motor vehicle crashes are rarely straightforward, including when they appear simple on the surface. Even if you were hurt in a single-vehicle crash, it might not be your fault. In most cases, blame lies with another driver, but a parts manufacturer, construction company, pedestrian, or even a government entity could all be to blame. You’d like to think that your health and safety is a top priority for the companies who sell you products, but sadly, this isn’t always the case. Defective products and drugs leave thousands of people injured and in need of medical care every year. Just because you were hurt on the job, it doesn’t necessarily mean that workers compensation is the only option you have available for recovering your damages. While this will be true in the majority of on-the-job accidents, if a third party, malice, willful negligence, defective products, or toxic substances were involved, a personal injury claim might be an option. Property owners have a legal duty to make certain that their grounds and buildings are safe for visitors. When a hazard goes unaddressed and leaves you hurt, you might have a premises liability case on your hands. No matter what type of accident yours was, you should never negotiate with the at-fault party or their insurer without first knowing the full value of your claim. Doing otherwise puts you at risk for accepting a settlement offer that is well below what your claim is actually worth. If negligence led to your accident and injuries, Craig Swapp & Associates can help you recover the monetary compensation you are entitled to. From the negotiating table to the courtroom, we know personal injury law, and we can bring your claim to the successful conclusion you need. The road to financial recovery begins with a free consultation to discuss the details of your case with a Boise accident lawyer. To get started, give us a call at 1-800-404-9000 or contact us through the online form found at the bottom of this page.